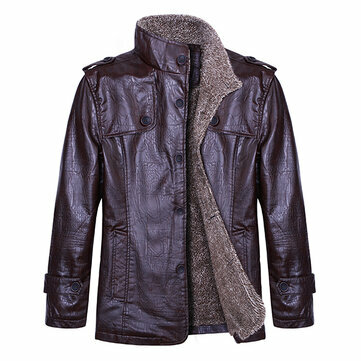 This jacket are windproof and waterproof,warm and soft! The quality is quite good . Latest update: The PU jacket have upgraded to "large" version. Size increased to the US size 6XL. Please pay attention to the Size Reference in the new chart. sleeve length,then compare with our size details to choose your size. Fast shipping and good product. Fast shipping and good product.